Welcome Home! 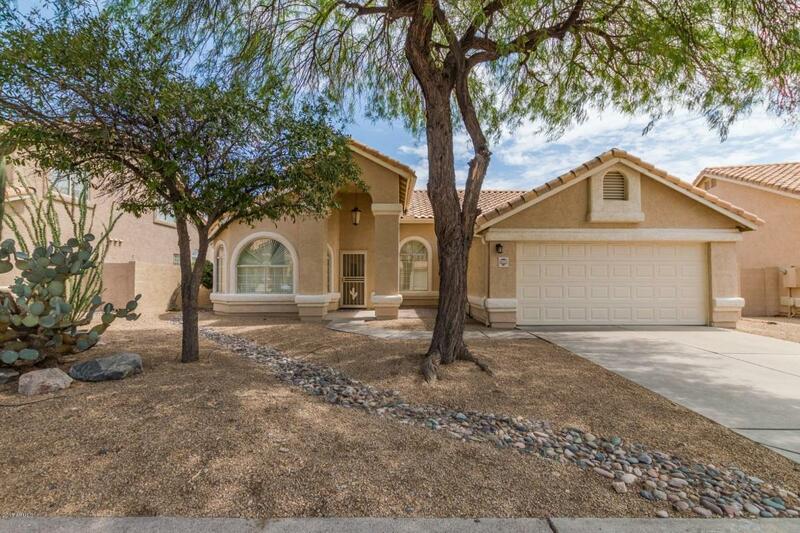 Gorgeous one story home, 3 bed, 2 bath, with desert landscape and two car garage. Contemporary interior with carpet and tile. Great room at front of house with lots of natural window lighting. Vaulted ceilings throughout. Family room connects with kitchen and includes a brick fireplace. 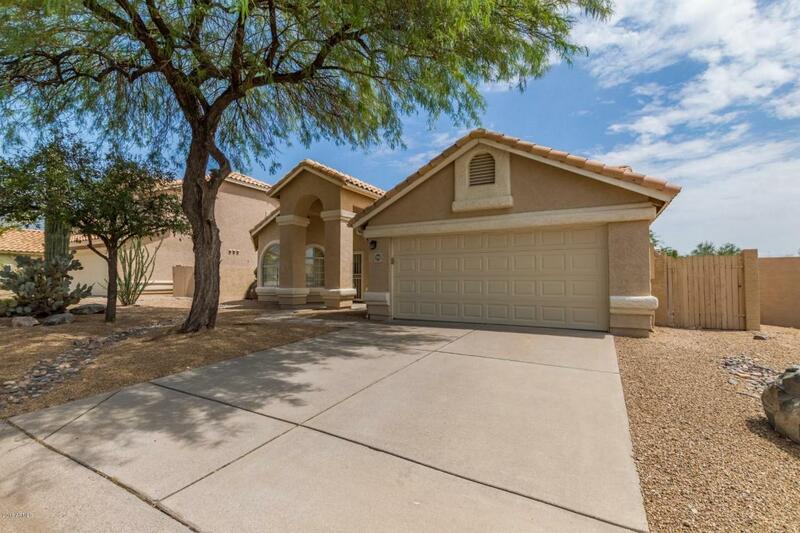 Updated kitchen with; breakfast bar, granite tops, stainless appliances, and double sink. Nook area next to the kitchen for a complete dining area. In house laundry room with a W/D hookup and storage. Standard bedrooms are carpeted with ceiling fans, windows, and closets accommodated by a full hallway bathroom. 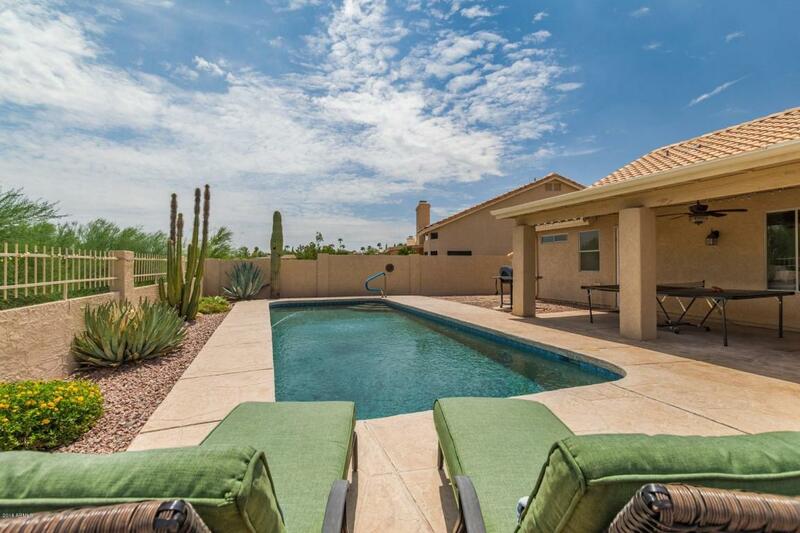 Master bedroom has two separate entries and includes a 3/4 bath with granite double sinks. 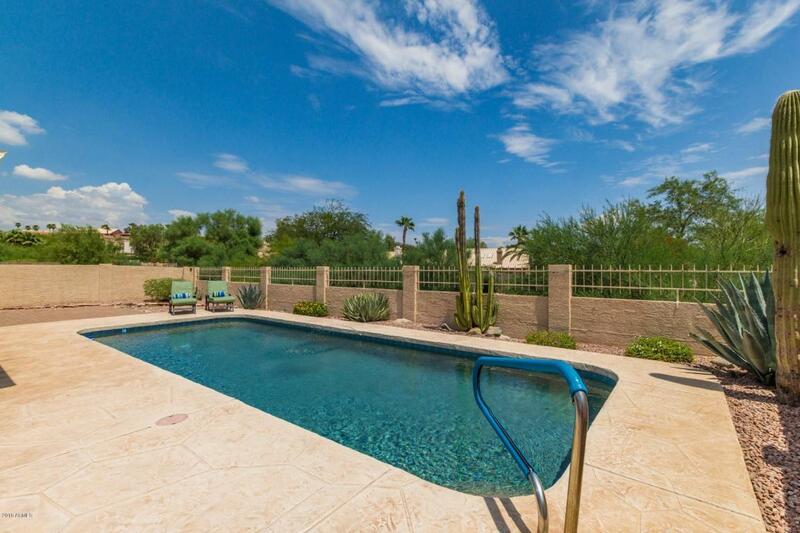 The backyard has a desert landscape with a large sparkling pool. HOA includes basic Cox cable!